Our leg spacer pad aligns knees & hips encouraging optimal alignment. 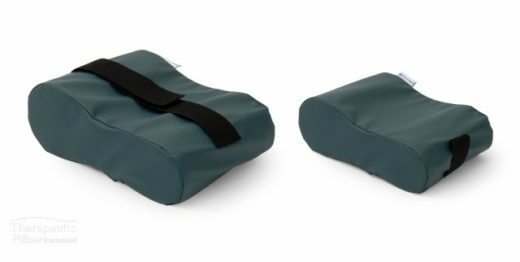 The Leg Spacer knee cushion is designed to offer optimal spinal alignment to help reduce lower back, leg, hip, ankle, or joint stress, strain and pain. This thoughtfully designed memory foam leg spacer can be used to place between the legs to keep your legs, hips, and spine parallel and aligned, helping to increase circulation and diminish pressure on those areas. The memory foam construction is soft, supportive and resilient. With the leg spacer pillow you get a convenient and comfortable positioning aid. With the abduction wedge, you get a positioning aid that does its job and feels great. It is soft, comfortable, supportive and cushioning while retaining its shape well for lasting support. The leg spacer pillow is designed to be placed just above the knees but also works effectively between the knees or just below the knees. Try different positions to find the one that suits you best and get comfortable with our cushioned leg rest.